After leaving Newcastle, I had the pleasure of staying with Amargi Wolfe who lives in the Dorrigo Mountains, about an hour West of Coffs Harbor. Amargi is off the grid by my standards. She has a small one-bedroom house that relies on solar power during the day and generator power at night. The only other place I’ve been to like this is Waldron Island out in the San Juan’s in Washington State. Things we take for granted are a bit of a procedure here. Washing dishes for example, requires soaping and scrubbing them with the undrinkable tap water and then sanitizing them with boiled rainwater. Only boiled rainwater and the comparatively little amount of bottled water is safe to drink. Hot water comes the old-fashioned way by heating it on the gas stove, which is no doubt the hub of the kitchen. If you want a shower, Amargi has the height of luxury (compared to neighbors) by owning a gas heated outdoor shower. Getting to her house from town requires half an hour of dirt and paved winding cliff-side roads followed by 1.5 kilometers of rocky hilly driveway that requires a four wheel drive car to manage the safari like tracks. Trips to town are not taken lightly. Amargi is doing some wonderful things on her acreage, including living on beautiful mountainous land that the mining industry would love to deforest and plunder for antimony and gold, and working on resuscitating the dingo population. This is her primary focus and where her heart and soul is always. She takes in pure and half-breed dingoes that are caught or abandoned or threatened by local farmers and other residents. Understandably, farmers don’t want their livestock eaten, but like coyotes in the United States, the dingo territory is constantly being encroached upon with introduced livestock, and so it is only natural that they would begin to attack animals in a range that was previously fair game. Many people think of dingoes as wild dogs, and though they are canines, pure breeds are a different classification than dogs. A number of physiological differences include longer sharper teeth, being able to put their heads straight back, and having more flexibility in their ankles. They seem to have an extra spring in their steps. It’s absolutely amazing watching them navigate the bush. The aboriginal people considered their dingoes to be their guardian totems, and when colonists wanted to get rid of a village, I am told, they started by killing off the villages dingoes. I was very impressed by these animals from the start of my stay there. Perhaps it was because they gave me a howling ovation upon my arrival, a sign of greeting. They seem to have more of their own will, and I always respect that in an animal, as I am also an animal with a strong will. Amargi has a pack of 6 full or partial breeds in total. She neuters the partial breeds to ensure that some pure breeds will continue to exist. It is the pure breeds that are a vulnerable population due to inbreeding. Currently only 30% of the total dingo blood line are still pure breeds. This is due partly to the fact that dingoes have a hard time breeding in captivity and in a pack only the alpha couple will be permitted to copulate. Subordinates in a pack help raise the pups from that coupling for two generations. Dingoes can be quite shy and tender! Many people think dingoes are less vicious when cross-breed with domesticated dogs, but this is part of the dingo misconception. 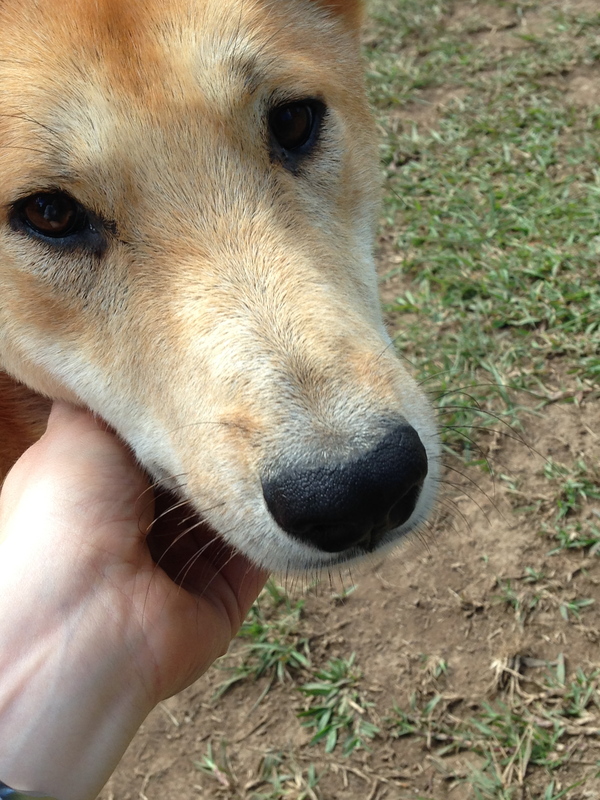 Dingoes are naturally very timid of humans, and Amargi works to make them feel safe on her land. Once socialized (not domesticated) they are quite snuggly, and I received more than a few dingo kisses, even from the pure breeds. (A sign of good luck!) They are all very playful and through they growl and bite at each other, it’s all fun and games. 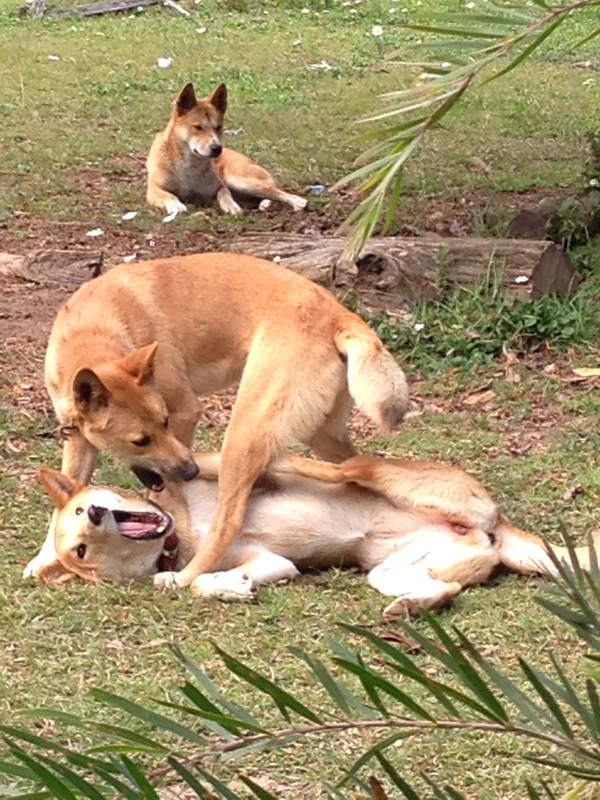 Dingoes are as playful as puppies their whole lives. Amargi has trained them in the local language, Gumbayngiirr. 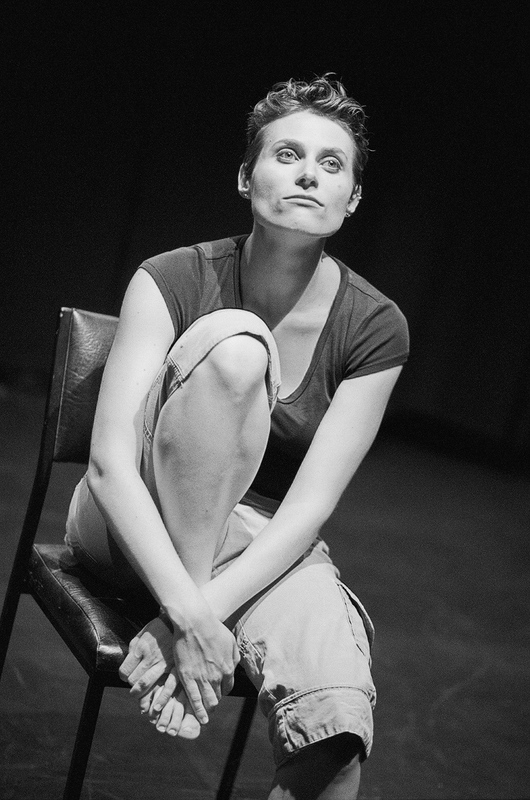 She is deeply connected to the aboriginal culture and does what she can to respect that unique relationship to the native land, plants, and animals. Australian Aboriginal culture is currently believed to be the oldest on the planet. I felt very fortunate to learn a few grammatical rules of the local language as well as a few words and stories from the dreaming (or how things came to be) that related to some prominent geographical sites. 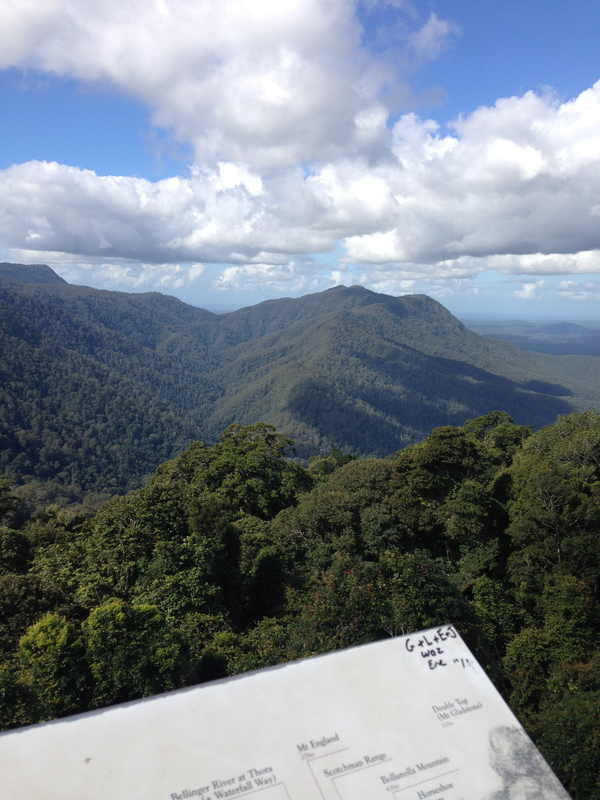 Here is McGrath’s Hump as seen from the Dorrigo National Rainforest. In the local language it is called Old Man Dreaming, because it was said that an old man was left to guard the women and children of a village while the hunters went to gather food and while they were away a neighboring village came and stole the women and children while the old man was sleeping. When questioned, the old man said that the women and children were in fact nearby and there was nothing to worry about. As the hunters discovered that this was not true, they became angry and turned the old man into stone so that he could never leave that spot again. Apparently from the other side of it, you can see a profile of an old man’s head. I find geographical mythology absolutely fascinating as it gives places meaning and often tells an important lesson that lasts the ages. Bellingen is the next eastern town and features a folk festival every year. It’s a hippie kind of place (there is no end of harem pants made from recycled saris and silk print materials). There is a great hostel there I stayed in briefly with events for every day and a number of extra amenities. This was one wonderful part of my journey and I can’t thank Amargi enough for her hospitality and kindness. I really hope she has the greatest success in her work with the dingoes and I hope many of you will consider donating to such a worthy cause. Also, she takes WWOOFers if anyone is interested. 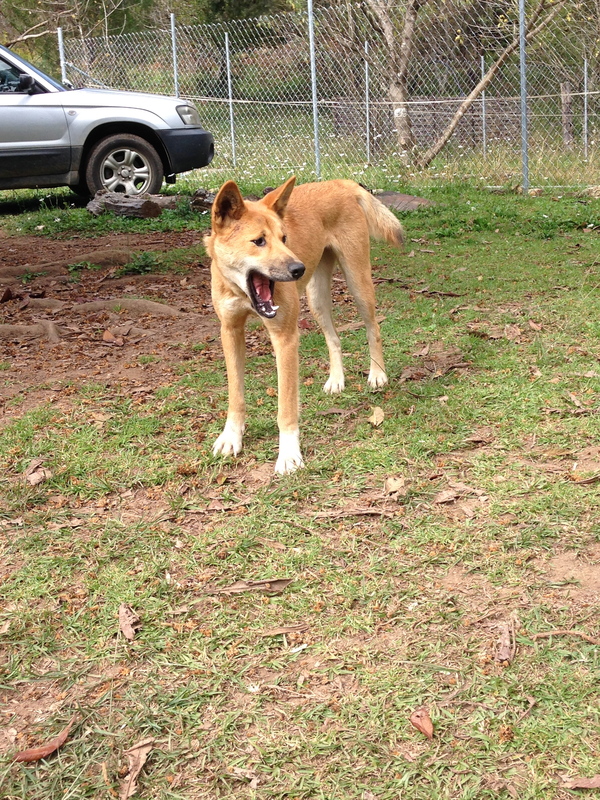 Make a difference in this important work as she works on getting incorporated and rescuing more dingoes!